Organ transplantation holds the promise of life for thousands of patients with life-threatening conditions and diseases. The generosity of donor families, who at a time of great tragedy decide to help others, is immeasurable. However, the number of patients on the waiting list continues to increase daily. Anyone of us could someday be in need of a transplant. People with diabetes, high blood pressure, cystic fibrosis and other common illnesses are on the waiting list. People of all ages are waiting for transplants, in fact people under the age of 49 make up almost 50 percent of the waiting list. Register as an organ donor today. Most importantly, share your commitment to organ and tissue donation by discussing the facts with your family. Don’t stop there! 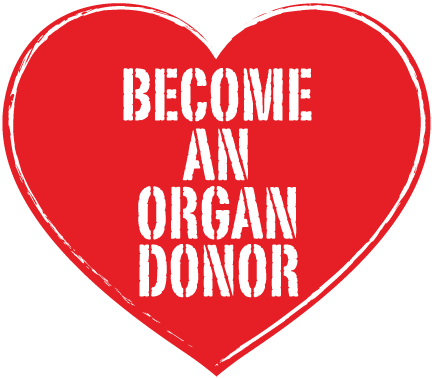 Tell your friends and others you know that you are an organ donor and that they should consider registering their intent/consent as well. Advances in technology allow more people than ever to be donors, even those over 70 years of age and those with previous medical conditions. More than 117,000 people in the United States are waiting for organ transplants. [Solid Organs: Hearts, kidneys, pancreases, lungs, livers and intestines]. On average, 18 people die every day while waiting for organ transplants in the U.S., and every 10 minutes, another name is added to the waiting list. In New York State, someone dies every 15 hours waiting for an organ transplant. Anytime you are in a hospital, doctors will do all they can to save your life. Donation only occurs after the death of a patient is declared by physicians who are legally not affiliated with donation. Donation takes place under the same sterile conditions as any medical procedure. A donor’s body is never disfigured and donation does not interfere with funeral arrangements. Open casket services are possible. If you’re a donor, your family does not pay any bills related to donation. It is illegal to buy and sell organs in the U.S. The system for matching donor organs and potential recipients is regulated by the Federal Government.